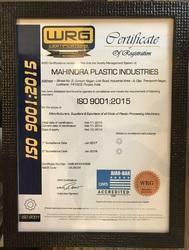 Established in the yera 1976 we "Mahindra Plastic Industries" are manufacturer, supplier and exporter of Plastic Processing Machine.The entire range of products offered by us is manufactured by making use of the best grade components that are procured form reliable vendor base of the industry. 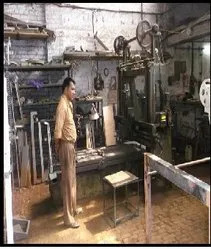 Our machines are appreciated for being durable, technically advanced in design, robust construction, superior performance and corrosion resistance. 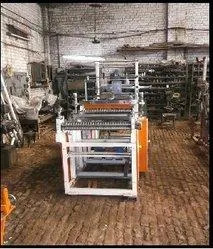 We also offer some of these machines in different sizes and specifications according to the needs of the clients. Being a client centric organization, it is our aim to understand the diverse needs of our clients and offer suitable range of products. We have progressed immensely under the leadership of our mentor, “Mr. G.S. Bajwa”, who is a man with extensive domain knowledge. With his transparent and ethical business dealings, we have earned a good position for ourselves in the international markets. We are backed by a competent team that acts as a driving force for our organization, which leads us to path of success and growth. Associated by a team of such an efficient professionals, we have been able to cater to distinct needs of our clients in a systematic and organized manner. These professionals are well versed with the latest technologies and methodologies that lead us to the fabrication of such a compact range. Apart from this, our employees work in tandem with one another to maintain pace with the needs and desires of clients.